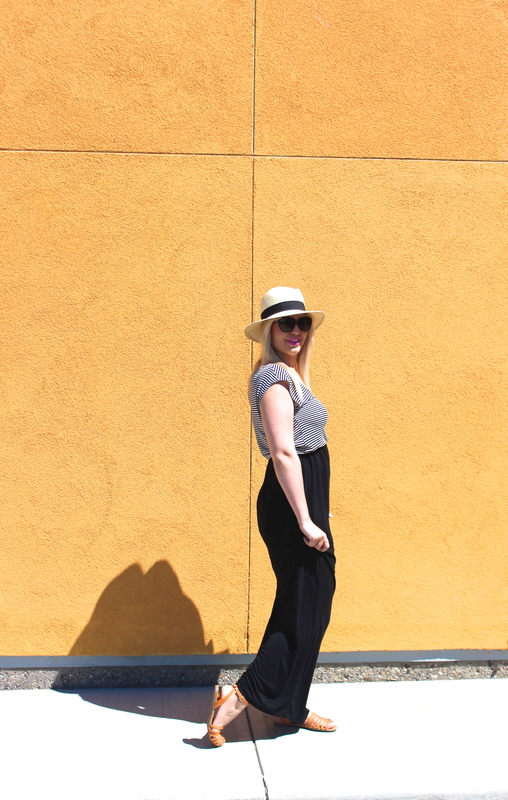 Black + White - Lovely Blonde Closet "
Summer is all about easy, comfy maxi’s and this black and white gem from Joe Fresh has become a quick favorite of mine. I adore how basic it is with the horizontal stripes, and solid bottom. It is the perfect maxi to make a statement with by adding a pop of color through your jewelry, lipstick or any accessory. 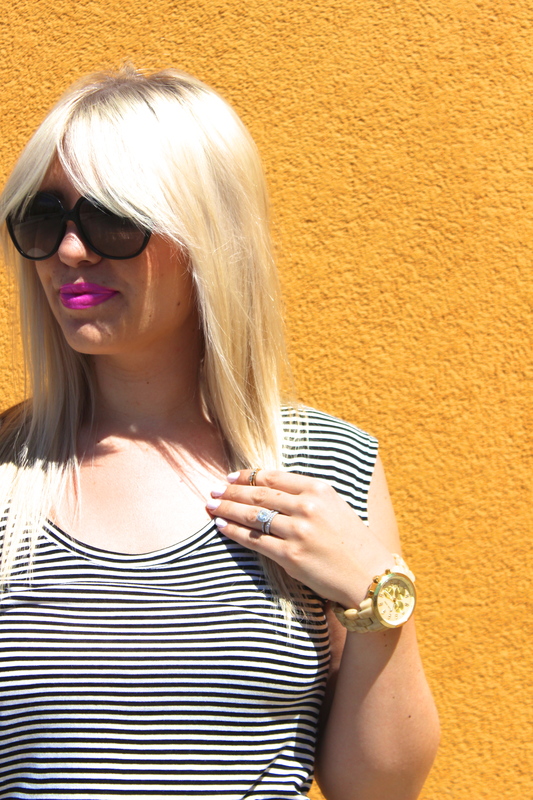 I chose to add the pop with this bright pink lippy, while keeping the rest of my outfit neutral! If you miss out on buying this dress, it is so very easy to recreate this look – all you need is a black maxi skirt and a simple striped tee, both of which you can find almost anywhere these days. 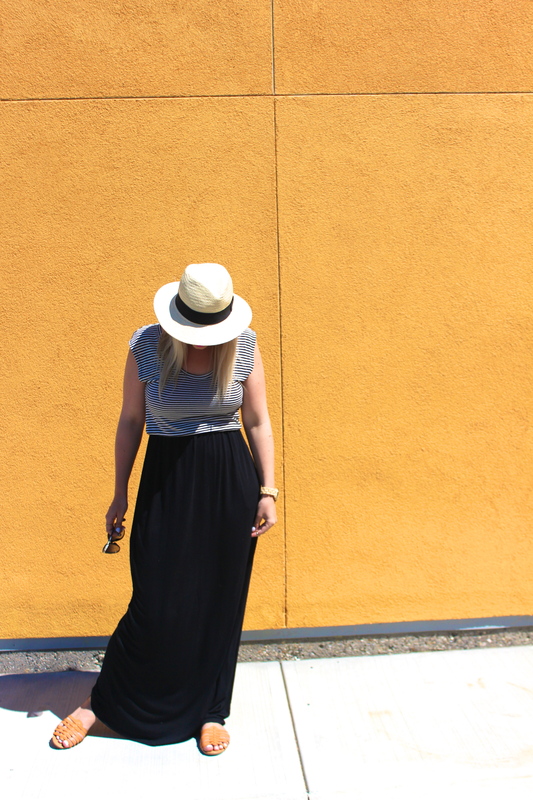 Here is a link to a tee and maxi skirt that make this similar look! I hope you are all having a lovely week, I sure am adoring all the beautiful, sunny summer weather we have been having!